Did you watch the World Cup Opening Ceremony? The sound was rubbish. None of the vocals could be heard. 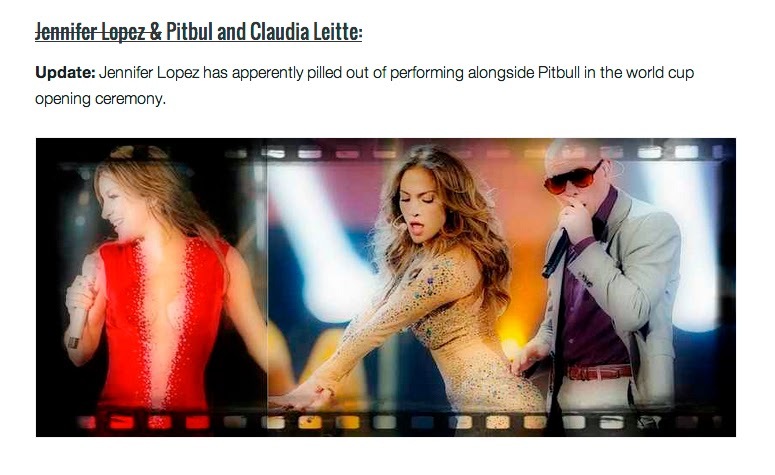 Maybe it was because J.Lo was pilled out.